You can Set this card from your hand to your Spell & Trap Zone as a Spell. 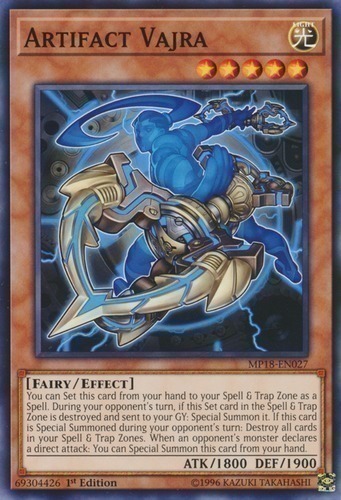 During your opponent's turn, if this Set card in the Spell & Trap Zone is destroyed and sent to your GY: Special Summon it. If this card is Special Summoned during your opponent's turn: Destroy all cards in your Spell & Trap Zones. When an opponent's monster declares a direct attack: You can Special Summon this card from your hand.